The frequency and risk of natural hazards is continuing to rise, while conflict and persecution are displacing a record number of people. When an emergency or a disaster strikes, a coordinated approach by humanitarian organizations is required to enable fast and effective intervention. During and immediately after a crisis, urgent action is required to save lives. At the same time, from the start of a humanitarian response, time critical interventions which lay the foundations for sustainable recovery an speedy return to longer term development are also imperative. Moving from responding to emergencies to rebuilding countries, the focus shifts to long-term finance, capacity building for national governments and the empowerment of local communities to meet their own needs. During all these stages, telecommunications in general and satellite communications in particular are key contributors to the success of the humanitarian intervention and development activities. Satellite communication is the only reliable method to exchange critical logistic, medical and situational awareness information with mission headquarters after a man-made or natural disaster. In such events, telecom landlines and terrestrial wireless systems are lacking, destroyed, or overloaded by people sourcing help, information or trying to contact relatives. In this article, five ideas will be introduced to increase the effectiveness of humanitarian operations and the efficiency of satellite communication networks to support these activities. 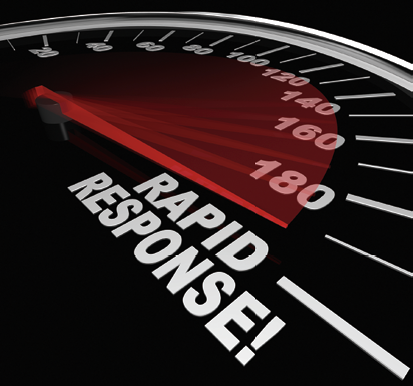 reached and how quickly organizations can provide first responder emergency services. These objectives need to be translated into how an efficient satellite network should operate. However, in most cases, humanitarian organizations lack the resources and budgets to have dedicated satellite experts amongst their ranks who can assist in building and operating these networks over satellite or even perform installations in remote locations. In most cases, humanitarian organizations and NGOs will rely on satellite service providers for managed services. But how can a humanitarian organization ensure it selects the correct satellite service and equipment that are relevant to the operations at hand? The coordinated series of actions to prepare, manage and deliver humanitarian response are combined in a model related to the different stages in a humanitarian process, from the crisis or disaster to the development and capability building activities. The successful implementation of such a humanitarian aid and development cycle is dependent on effective emergency preparedness, coordination with national/local authorities and humanitarian actors, information management and flexible, scalable and efficient satellite communication platforms. Each stage in the humanitarian aid and development cycle requires a different type of service, throughput and traffic type that need to be exchanged with fixed, on-the-pause and on-the-move satellite terminals. Having fragmented satellite services and different VSAT systems for the different stages in a humanitarian aid program would turn out to be a very expensive solution for humanitarian organizations and NGOs. In short, humanitarian agencies need to consider a multiservice satellite platform that offers a combination of data, voice and video services, ranging from situational awareness information, internet access, logistics and administration to educational content which can be accessed from different types of terminals in disaster and crisis areas across the world. It is time for game-changing approaches and innovative technologies from the satellite industry to support humanitarian operations and make them successful. Here are some ideas to achieve effective humanitarian interventions through efficient VSAT solutions. Figure 1: Different services required during the different stages after a disaster. 1. Time is of the essence; support first responders in their quick deployment requirements. Basically, the VSAT system must enable first responders to set-up their fly-away VSAT terminals once they have reached the disaster area and provide immediate connectivity to data, video and voice services over satellite. Planning and preparation are key, as is the speed the VSAT network can be configured, the availability of instant ground segment infrastructure elements, the satellite capacity allocation over the disaster area and rapid provisioning of services. As such, the VSAT platform needs to be independent from satellite constellation and satellite frequency to be repurposed quickly over different humanitarian operations. Once operational, the SATCOM links are expected to remain available during the operation’s length. 2. Make VSAT terminals and networks easy to install and operate; reduce human error whilst saving time and money. Linked to quick deployment is the necessity for easy-to-install VSAT terminals and easy-to-operate satellite networks. Although it sounds like a no-brainer, a lot of current VSAT solutions still require a satellite engineer and time-consuming set-up of procedures to establish a first connection. Making complex systems out of VSAT solutions increases the risk of mistakes and security breaches, creating interference on satellites which could ultimately hamper operations. The VSAT platform needs to come with a set of tools and technologies to facilitate the easy installation of hubs and modems, as well as the ease to plan, monitor and manage the satellite network. The quicker the terminal is up and running, the quicker the deployed humanitarian personnel can focus on their core operational tasks. This process ensures that each terminal works at maximum efficiency, reducing the interference and implementation risks. A basic half-day training should be enough for a humanitarian employee with some IT knowledge to point and set-up the VSAT terminal through a comprehensive Graphical User Interface (GUI). Once the terminal is correctly pointed, the network and authentication management will take over automatically and provide internet connectivity in a matter of minutes. 3. The impact of the next crisis or disaster is difficult to predict; the humanitarian SATCOM network must be scalable and flexible to face the variety of operations at hand. 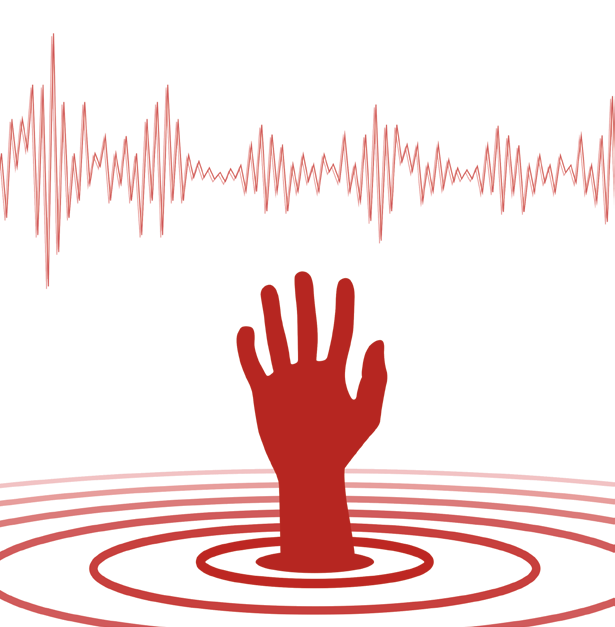 Many scientists and studies have tried to find ways to predict the next crisis or disaster using climate models, setting up seismic, volcanic, forest fire and tsunami monitoring networks and keeping track of political events and migration movements. Although natural disasters are easier to predict today, the impact and aftermath of these events remain disastrous, chaotic and difficult to assess. The same goes for crisis management after political or social problems. From local events to disasters impacting multiple nations, first responders and humanitarian workers are often deployed to the furthest corners of the world. Flexibility is the key requirement for humanitarian organizations when they look for satellite services. Both locally fragmented and global connectivity are imperative and the satellite services need to be adaptable to the situation at hand. After the disaster, the parameters and service requirements might change constantly depending on the stage in the humanitarian aid and development cycle. Having flexible satellites and services is not sufficient; they need to go hand-in-hand with a flexible and scalable VSAT platform. Only in such a scenario is the flexible pooling and sharing of capacity and assets possible. The VSAT terminal can be installed on a vessel during a humanitarian mission seeking victims of human trafficking, fixed on the roof of a hospital to support AIDS prevention programs, or deployed and re-used as a fly-away terminal for a first responder after a hurricane disaster. In the latter scenario, the VSAT network management system will be able to allocate part of the network to a local service provider in a Virtual Network Operator (VNO) structure for a development program to empower local governments and communities. The multiple types of VSAT terminals installed on different platforms are all connected to a single VSAT platform in a global and flexible satellite network. 4. Humanitarian workers cannot afford to fail even though they operate in the worst locations and conditions on Earth; the same is expected from satellite networks. Humanitarian organizations will demand satellite service providers to respect the most stringent Service Level Agreements (SLAs). Only VSAT platforms providing seamless, reliable and robust satellite links can be considered for running seamless humanitarian, mission critical communications. The VSAT terminals must maintain connectivity and maximum service availability even in highly adaptive satellite networks with fading conditions and occasional interference. 5. Invest in cost-efficient SATCOM technology so humanitarian organizations can spend less on operating SATCOM networks and more on humanitarian aid programs. Addressing the issues common to disaster recovery remain difficult as pre-disaster recovery planning is less salient to local officials, particularly when compared to pressing day-to-day activities and available budgets. Most humanitarian organizations and NGOs survive on donations, development bank initiatives or government funding programs and are very conscious about their operational budgets. They prefer to spend their money on relief efforts that directly impact victims after a disaster or a crisis, rather than investing in infrastructure and overhead. Ambitions to set up large development, educational or closing digital divide programs are mostly only partly realized or need to be halted because the underlying costs were underestimated. Environmental and social responsibility is high on the agenda of the satellite communications industry. Innovative, efficient and affordable SATCOM technology can be accessed by humanitarian organizations for their first responder operations and to realize their large development programs. Efficient SATCOM technology helps to save bandwidth costs and provide double throughput in the same available bandwidth. A wide portfolio of VSAT terminals, modems and service profiles on a single VSAT platform can help a humanitarian organization to tune its satellite network to the planned operations and programs while reducing Operational Expenditure (OpEx) and Capital Expenditure (CapEx) costs which can be reinvested in development and disaster recovery programs. These five ideas for efficient humanitarian satellite networks are implemented in the Newtec Dialog® VSAT platform. This is exactly why the Newtec Dialog platform has become the first choice amongst humanitarian organizations, service providers and satellite operators running humanitarian networks. The Newtec Dialog platform is a scalable and flexible multiservice satellite communications platform that allows operators and satellite service providers to build and adapt their networks easily as humanitarian operations change or grow. As such, Newtec Dialog gives them the power to offer a variety of services while making hassle-free decisions on which technology to use. Figure 3: the Newtec Dialog VSAT platform can be deployed during all stages following a disaster. A set of key technologies (such as Newtec Mx-DMA®, DVB-S2X and FlexACM) bolster the high availability platform to offer highly reliable and secure services at unsurpassed efficiencies. This addresses the continued pressure on the ever-increasing need for more data throughput. The Newtec Dialog VSAT system embraces the complexity of humanitarian operations and addresses multiple applications (logistics, medical, situational awareness, ERP, administration, internet access, video conferencing, VoIP, etc.) and services (video, voice, data) on a single platform. The platform can easily be adapted and operated during each stage of the humanitarian aid and development cycle when the mix of services and applications frequently change. The Newtec Dialog VSAT platform is equipped with a set of tools and technologies to facilitate the easy installation of hubs and remote VSAT modems, as well as ease the planning, monitoring and management of a humanitarian network over satellite. The Newtec Dialog VSAT platform is a very good fit with humanitarian satellite networks. The platform has a track record of installations and deployments worldwide in first responders, humanitarian aid, development, educational, bridging the digital divide and disaster recovery networks, and has built a firm reputation on efficiency, reliability and innovation in the satellite market. Newtec Dialog has been installed in each stage of the humanitarian aid and development cycle in networks supported by humanitarian organizations, NGOs and government agencies. In the first phase when interventions are planned and situational awareness imagery is exchanged, Newtec technology is the engine behind the distribution of weather maps, climate models and earth observation imagery in Europe and U.S.
During the response stage (phase 2) Newtec Dialog has been deployed by first responders in the US for emergency services after several different hurricanes hit Puerto Rico and continental U.S.
During the Ebola crisis in Africa, Newtec Dialog supported health organizations to provide the first medical aid to victims and prevent a global pandemic outbreak. Peacekeeping agencies and humanitarian organizations dealing with refugee shelter and relief use the Newtec Dialog VSAT system to provide their different missions with a mix of services during the recovery stage (phase 3). Development banks play an important role in financing and initiating development programs during the reconstruction stage (phase 4). Newtec Dialog connects their offices and operations throughout Africa and Asia. In the Democratic Republic of Congo, 300 hospitals and health centers in remote communities have a Newtec VSAT terminal in place to access the internet and exchange medical information. A lot of today’s focus has shifted towards prevention and mitigation programs (phase 5). The Newtec Dialog platform connects 4,000 schools in Morocco as education is a key driver for sustainable development, economic growth and prevention. In Indonesia, the Newtec Dialog VSAT system is part of the government initiative to bridge the digital divide, connecting remote communities for internet access, data and voice services. 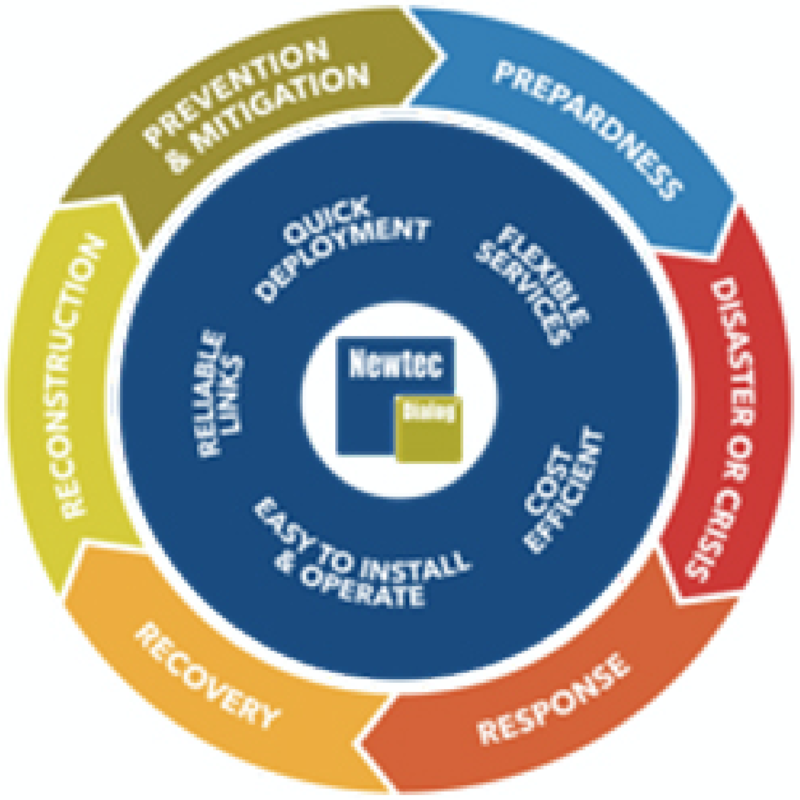 Thanks to Newtec’s vast experience in trunking networks and high-speed modem technology, Newtec modems have been installed in disaster recovery networks (phase 6) that serve as back-up solutions over satellite when terrestrial communication networks fail due to natural or man-made disasters. When a disaster strikes, a timely reaction and intervention is of utmost importance in order to save lives, bring stability to the region and restore the affected elements of the key infrastructure. Satellite communication is the only reliable method to exchange critical logistic, medical and situational awareness information with mission headquarters after a man-made or natural disaster. Newtec SATCOM technology supports the emergency response and humanitarian missions by providing a VSAT platform that can be deployed from the early stages after a disaster to the restoration of the affected area. The five key requirements to support efficient humanitarian operations have been implemented inside the Newtec Dialog VSAT platform. These requirements originate directly from the operational reality in which humanitarian organizations set up their relief and development programs. Newtec Dialog is a very good fit with humanitarian networks thanks to its ability to support quick deployments and easy installation of terminals, as well as its ability to provide flexible VSAT services worldwide. With the Newtec Dialog platform network, operators can set up reliable satellite links at all times in a flexible, scalable and efficient way. Furthermore, double throughput can be achieved at maximum service availability. Finally, the OpEx and CapEx savings achieved through Newtec’s cost-efficient SATCOM technology can be reinvested by humanitarian organizations in relief, development and disaster recovery programs.